Did you know that there was a time in Africa, when what you ate wasn’t a big deal in terms of its negative effect on your health? Sixty to seventy-five years ago, most Africans had an active lifestyle, farming and doing other forms of manual labor for a living; walking as a mode of transportation because only expatriates and wealthy elites had motorized vehicles. There weren’t any fast food chains, like Burger King or KFC. Food scarcity from drought or civil war resulted in malnutrition as the main nutritional problem. Fast forward to today, when modernization and economic development have resulted in the adoption of western lifestyles such as tobacco use, physical inactivity, harmful use of alcohol and an unhealthy diet – particularly among rapidly expanding urban populations. As a result, non-communicable diseases like diabetes, high blood pressure and cancers are rising rapidly. How do you practice healthy eating in the new Africa? No single food supplies all the nutrients your body needs to function at its best. A healthy diet is one that combines the five different food groups in the right proportion daily, to supply the necessary nutrition. Dairy (milk group): the foods in this group are excellent sources of calcium, which is important for strong, healthy bones and teeth. Calcium ensures proper function of your cells, muscles, and nerves. Unfortunately, people of African ancestry develop intolerance to lactose, the natural sugar in milk, after about 10 years of age. Other good sources of calcium include green leafy vegetables, okra, oranges, sardines, salmon, almonds and white beans. Fruit: provides vitamins, minerals, dietary fiber and many phytonutrients (nutrients naturally present in plants), that help your body stay healthy. Grains (also called carbohydrate or carbs): choose wholegrain and/or high fiber varieties of breads, cereals, rice, pasta, noodles, etc. These are usually brown in color. Refined grain products (such as cakes or biscuits) can be high in added sugar, fat and salt. Protein: meats, poultry, eggs, beans, nuts. Protein builds, maintains, and repairs the tissues in your body. Muscles and body organs are made of protein. 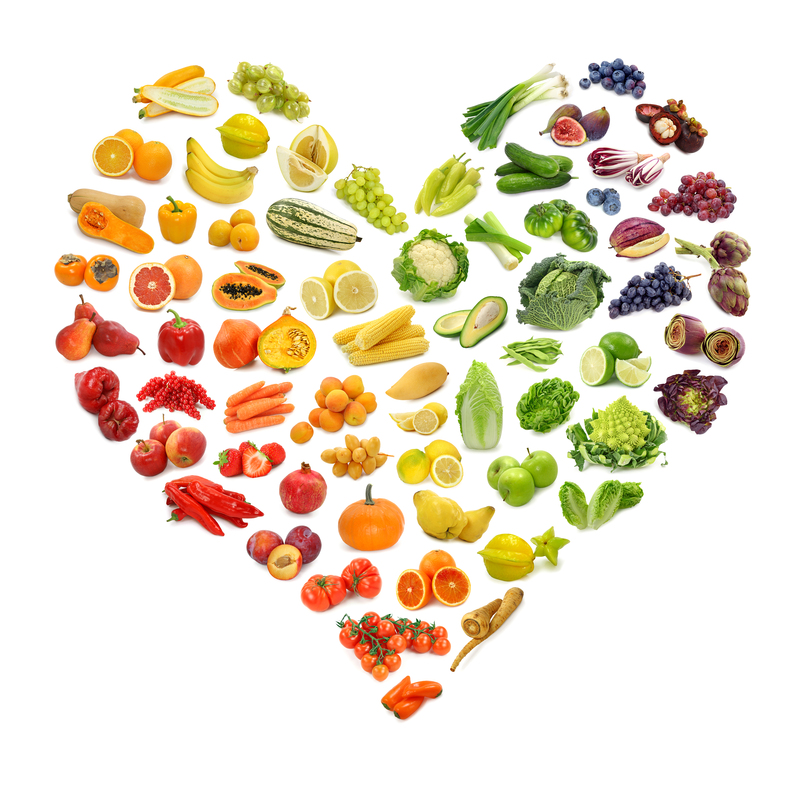 Vegetables: should make up a large part of your daily food intake and should be eaten at every meal. They provide vitamins, minerals, dietary fiber and phytonutrients (nutrients naturally present in plants) to help your body stay healthy. Three nutrients — carbohydrate, protein, and fat — contain calories that your body uses for energy. All foods contain these nutrients singly or in combination. 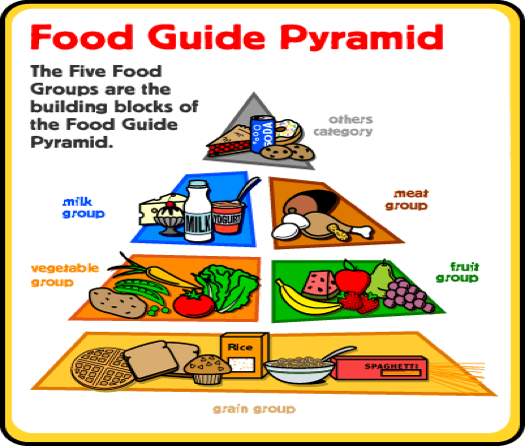 According to current U.S. dietary guidelines here’s how to balance these nutrients in a healthy diet. Popular smartphone fitness apps can help guide you as well. Carbohydrate – About half (45% – 50%) of your total daily calories should come from carbohydrate. Carbs contain the most glucose (sugar) and give the quickest form of energy. Your body changes 100% of carbohydrate into glucose which is used for the energy that you need right away, and the rest is stored in your liver. Once your liver has reached its storage limit, your body turns the extra carbohydrate into fat. Healthy carbs: Also called complex or slower-acting carbs. This type of carbohydrate raises blood sugar slowly and lasts longer. This helps keep you from feeling hungry for a longer time and keeps blood sugar levels closer to normal. Not-so-healthy carbs: Also known as simple, refined or fast-acting carbs. This type of carbohydrate raises blood sugar levels very quickly, but doesn’t last very long. That’s why these carbs work well to correct low-blood sugar but don’t satisfy hunger as well as healthy carbs. See the table below for examples. Protein – In a healthy diet, about a quarter (20% – 25%) of your total daily calories should come from protein. Lean protein is best – see the table below. Fat has the most calories of all the nutrients. In a healthy diet, about one third (30%) of total daily calories should come from fat. Fat gives the body energy, too, but the body changes only about 10 percent of fat into glucose. Fat slows down digestion, and can keep your blood sugar levels higher for a longer period of time. There are various types of fat, and some are better for you than others. Fats that are liquid at room temperature (unsaturated fats) are especially healthy because they lower the bad cholesterol in your blood. These fats include olive, canola, avocado, and nut oils. Fats that are solid at room temperature (saturated fats, trans fats) are unhealthy. They raise the bad cholesterol in your blood and are found in foods that come from animals, such as meat and dairy products (butter, cheese). They are also found in plant oils such as coconut oil and palm oil. This entry was posted in NUTRITION, Uncategorized and tagged balance diet, eating healthy, food, health education, health zone, healthy food, NUTRITION.